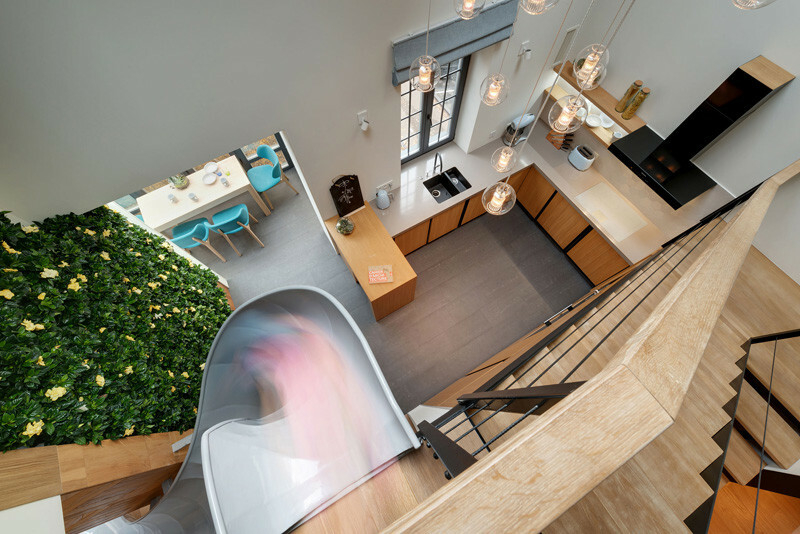 Ki Design Studio has sent us photos of an apartment interior they recently designed in Kharkiv, Ukraine, that includes a slide from the second floor to the living room. 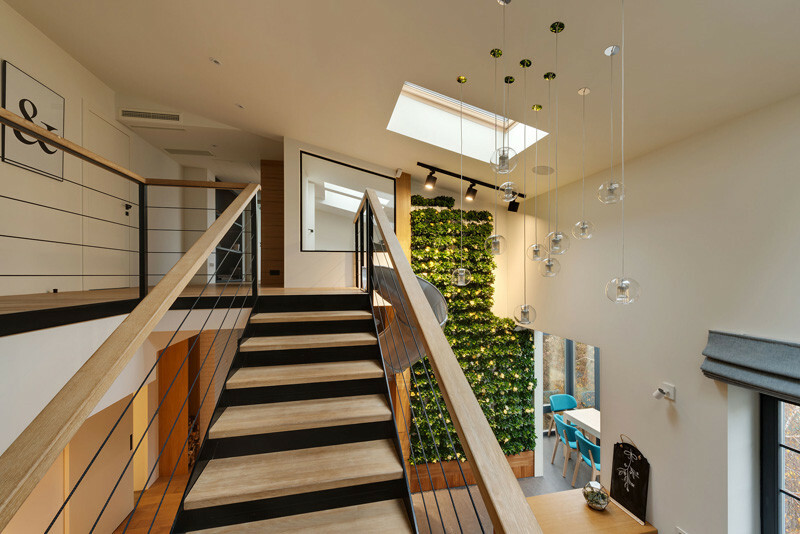 The original apartment had two floors, but the second floor had no specific function, and was just an empty space. 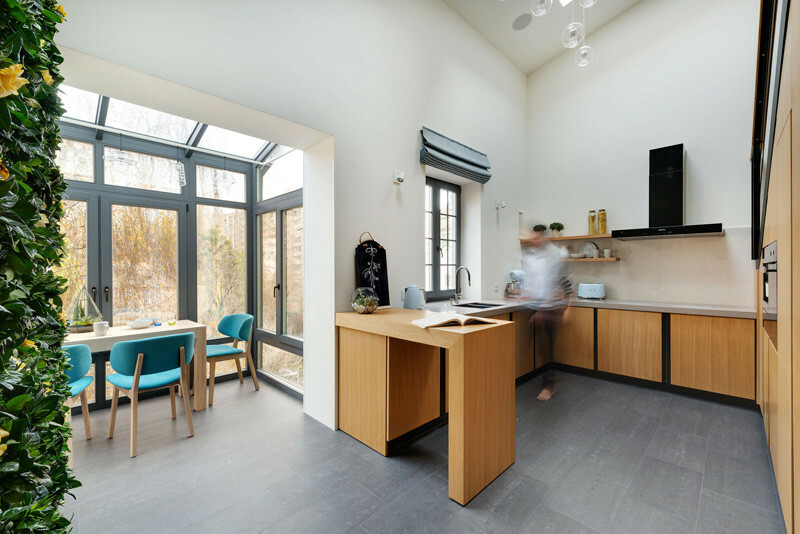 Their clients explained that they wanted an apartment where they could rest, but not get bored with the design in a year or so, and that it had to have something special and ‘wow’ their guests. 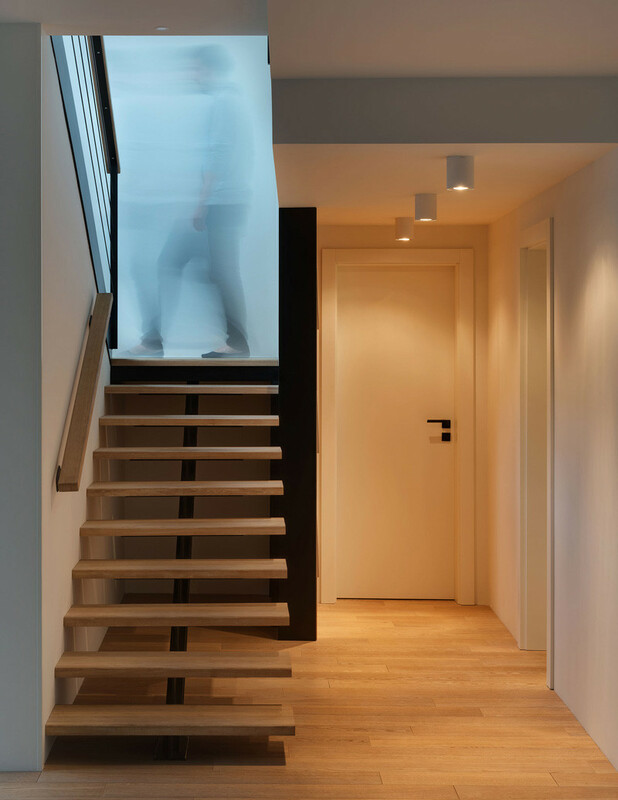 Their answer was to install a slide, in addition to stairs, to connect the two floors. 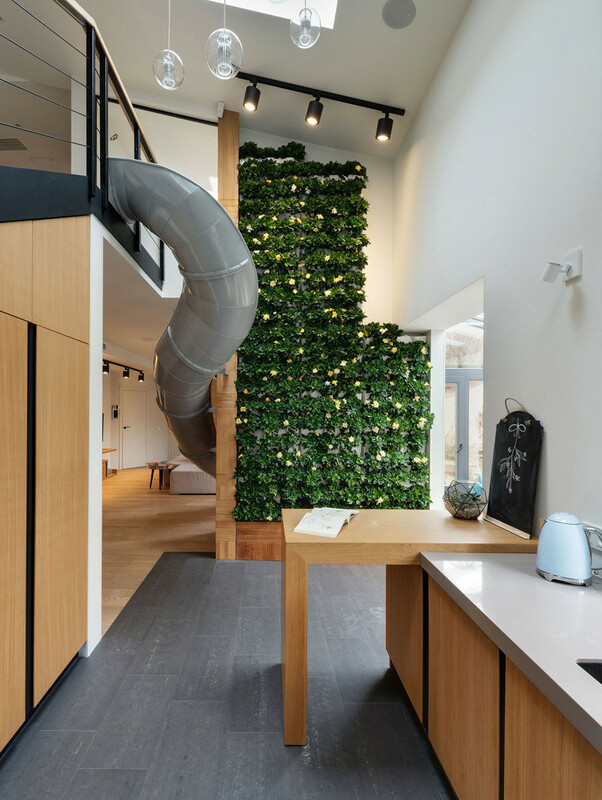 The end of the slide drops you off in the living room. 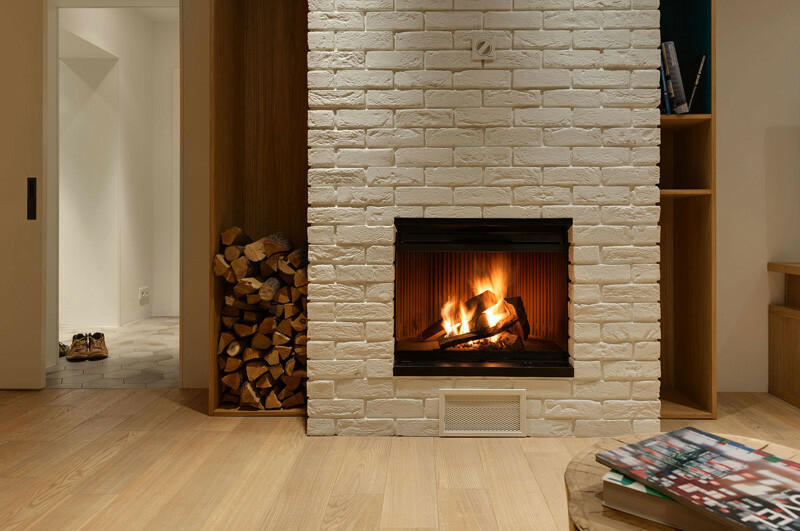 The living room also includes a fireplace with a painted brick surround, as well as built-in wood storage and a bookshelf. 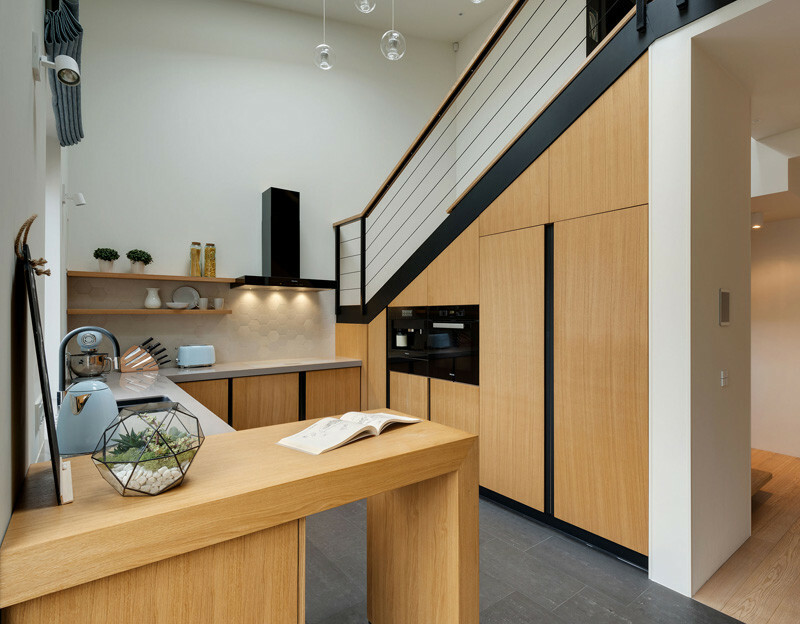 Located between the front door, kitchen and living area, are the stairs leading up to the second floor. At the top of the stairs, is the entrance to the slide. 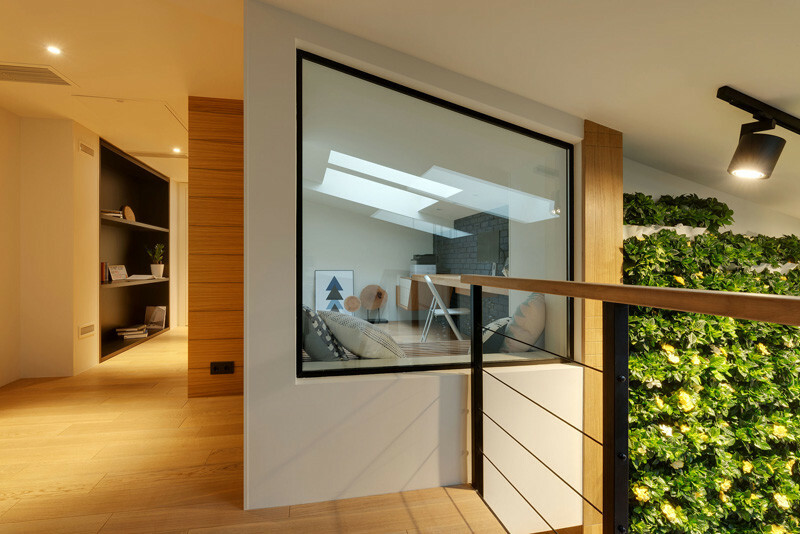 It also gives you a great view of the kitchen, and green wall. 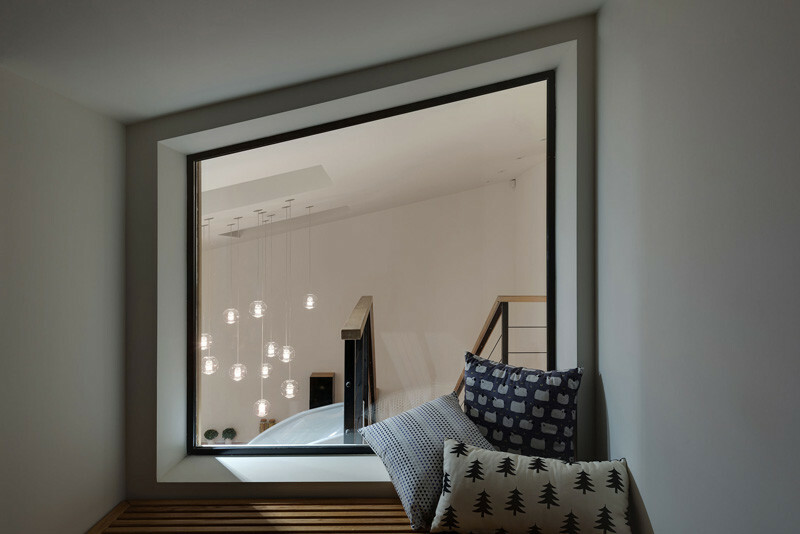 A window at the top of the stairs lets you look into the home office. 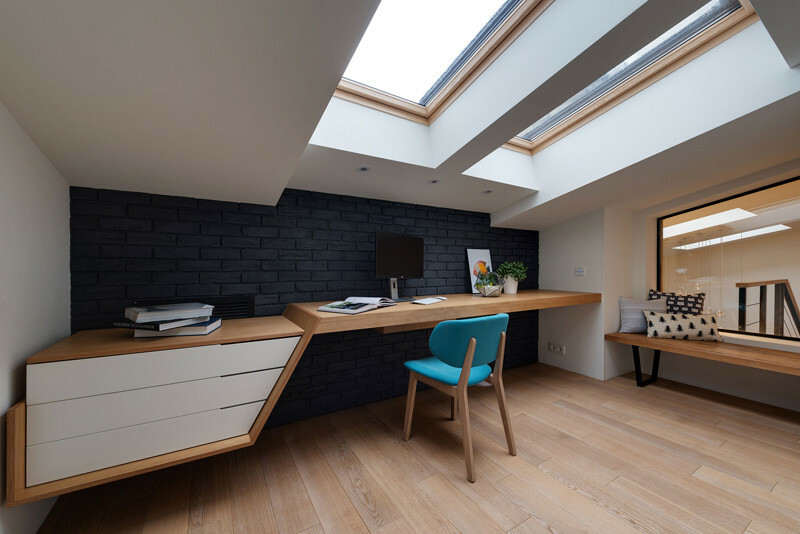 The home office has a custom built-in desk, designed to fit the space perfectly. A simple palette of wood, white and blue has been used in the bedroom. 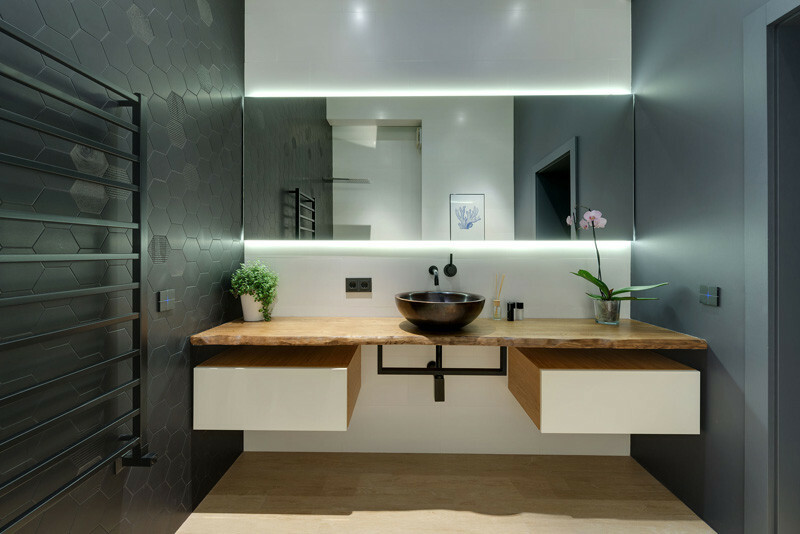 A look inside one of the bathrooms, we see a wall of black hexagonal tiles. 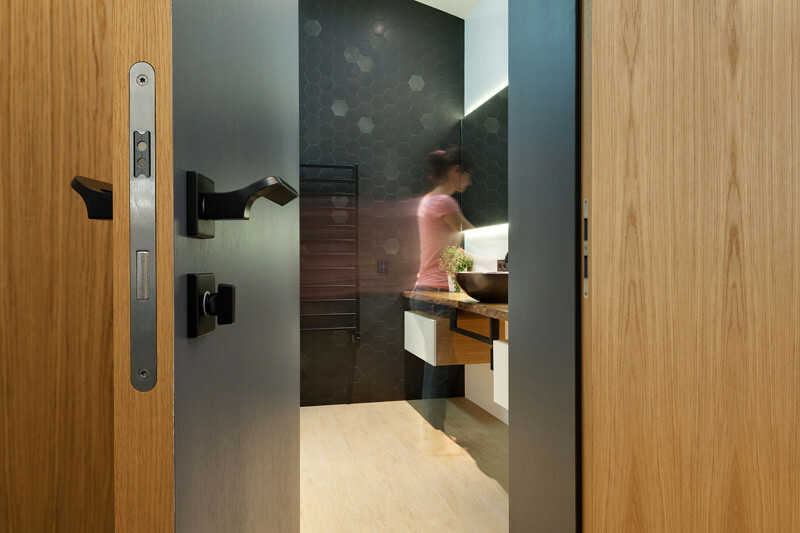 The bathroom also has a backlit mirror and a live-edge wood counter. 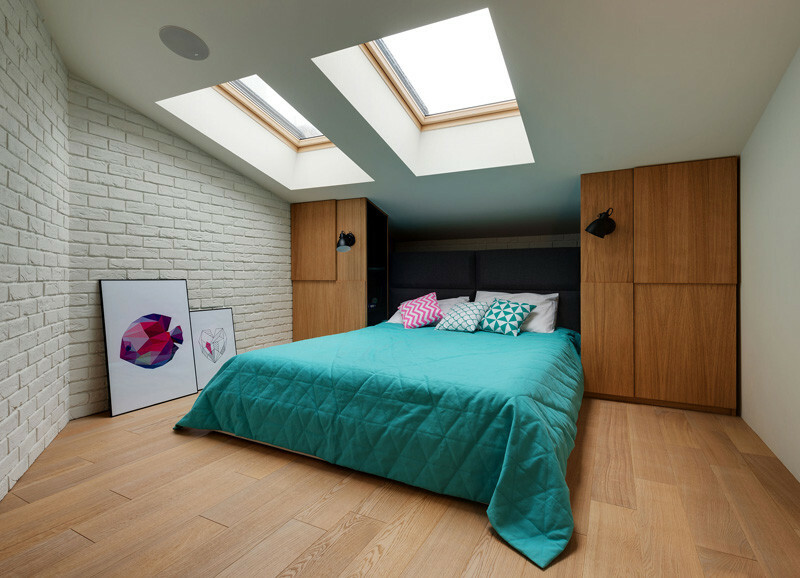 The palette of the second bedroom is the same as the first, and also has built-in wooden storage cabinets. 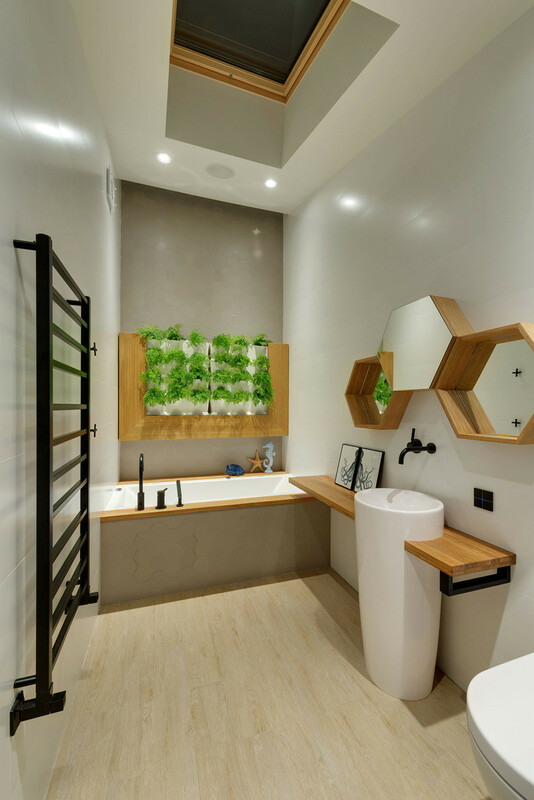 The mirrors in this other bathroom continue the hexagonal theme found in the previous bathroom.